Easily discover new movies, TV shows, series and channels to watch. Browse by category, genre, rating, recency, etc. or simply type a name to find. Stremio makes finding new video content a piece of cake. See what movies, series or videos you didn’t finish and continue watching them; get notified for new episodes and releases; and browse through the recommendations you will get based on your viewing habits. Add any title to your Stremio library with a single click and find your way around your content, neatly arranged by type, recency, or alphabetical order. 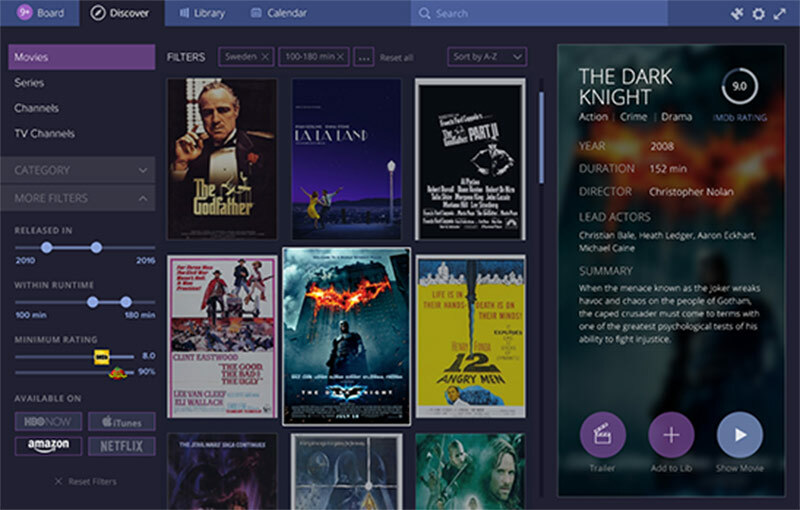 Get a calendar visualization of all the movies and series you add to your library. 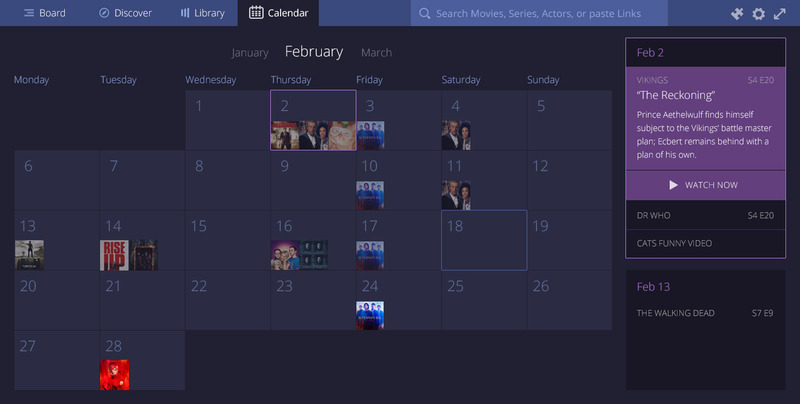 Export your Stremio calendar and sync it so you always know when a new episode or a premier is due. Cast whatever you are watching to another device - be it a phone, tablet or a TV with a single click. Install official and community add-ons to enjoy video sourced from many different providers - all in one sleek, easy to use app.